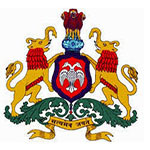 KCET Admit Card 2019 has been released by Karnataka Examinations Authority (KEA) of Karnataka State. The admit card can be accessed through the website only. Karnataka Common Entrance Test is managed by the Karnataka University every year. It is also referred as Kar CET. KCET is a state level entrance exam for the candidates those seeking admission in the field of Engineering course. Admission to Architecture and Medical courses will be offered on the basis of NATA and NEET score respectively. Through this exam, candidates can get admission in the colleges/institutions of the state of Karnataka. Candidates can check here the complete information of about KCET 2019 Admit Card. KCET 2019 Admit Card has been released on 12th April 2019. Click here to get admit card. Candidates can download their admit card through online mode. Details such as candidates name & roll number, exam date & timing, exam center, etc is mentioned on the admit card. Without valid admit card no candidate will be allowed to sit in the examination hall. Admit cards will not be sent through by post or any other means. Only those candidates can download their admit card who have paid their application fee on time. Candidates have to enter the application number and date of birth to get the admit card. Note: For admission in medical and architecture course, no entrance test will be conducted. The admission will be allotted through NEET and NATA national level entrance exam result. The KCET admit card has been released on 12th April 2019. The KCET entrance exam will be conducted on 23rd, 24th & 25th April 2019. The result will be provided till the last week of May 2019. The ranks will be released along with the result on the website. Further the counselling will be conducted in the month of June 2019. The exam will be conducted in 54 places spread all over Karnataka state. Candidates can follow the steps given below to download their admit card. Open the link and you will be redirected to KEA website. Enter your application number and date of birth (as per SSLC/10th Marks card). Download it and take the printout of it for further processes. Candidates should comply with the instruction given on the day of exam otherwise their test will be cancelled. Bring one photo Id proof for the verification of candidate identity. Do not bring any extra items along with admit card. Reach examination centre before one hour of the examination. If you have any queries related to KCET Admit Card 2019, you can leave your queries in the given comments below. I applied for BTECH only but my admit card shows Biology exam also with PCM. Is it compulsory for attempt Biology paper also? I dont remember the application number. How do I print my admit card? I am not able to find it either anywhere? The exam centre will be mentioned in your admit card. Admit Card is already released for all candidates. I have downloaded the kcet2018 admit card and I have applied for kannada language test but in admit card they gave me details and address of kcet (bio,chem,phy) along with kannada language test center, so now will I have to also appear for kcet(bio,chem,phy)???? It will not start again.